If you’ve ever moved, then you have probably experienced the reality of going back and forth a million times. Being organized is the key to success when it comes to moving, especially if you’re moving for the first time. Here are our 11 major tips for making a move successful and as stress-free as possible. 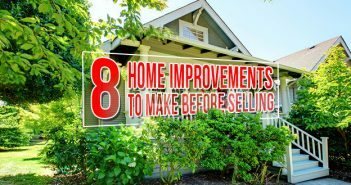 Why should you haul a bunch of unwanted stuff from one home to the next when you can sell it for a little cash? Having a yard sale before you move is a great way to earn some extra money and help you to stop from cluttering up your new home. After your yard sale is over, you should trash whatever does not sell. You can rent a roll-off dumpster to be delivered to your driveway and you can throw everything you do not want inside. This is great for unwanted furniture or items that are too far gone to be donated or sold. And check it twice. Be sure to keep record of what you are putting in each box, especially if you are using non transparent boxes. You don’t want to have to go searching through all 100 of your boxes just to find your hairdryer for the next week. Pack the items you will need for your first few days in a clear bin and put this bin in an easily accessible place. It won’t help you to have this bin in the back behind all of your cardboard boxes. This bin should include items such as paper towels, trash bags, phone chargers, eating utensils, toilet paper and anything else you can’t go more than a few days without. Another great way to stay organized while moving is to use different color duct tape to organize your boxes. Having a certain designated color for each room will make unpacking your boxes much easier. You can also buy duct tape with words on it to help with even more organizing. An easy way to pack the clothes hanging in your closet is to use a trash bag. Simply, open a large trash bag and while the clothes are still on the hangers, put the trash bag around the clothes and knot the ties around the hangers. If you have a lot of heavy school books to move, you can kill two birds with one stone and use a suitcase to transport them. A wheelie suitcase is great for moving heavy items that would be difficult to lift or could break a cardboard box. There is no need for you to take all the clothes out of your drawers just to put them back in when you arrive at your new place. Your dresser drawers can do double duty as moving boxes when it comes to packing up your clothes. Just be sure the drawers will not break when they are out of your dresser. Use clean socks to keep your glassware from breaking while in transport. Slip a clean sock around your glasses before you put them in a box to be taped up and sent away. This will cut back on the amount of packing peanuts or newspaper you will need to keep stuff from breaking. Deep clean your home before you move. This will probably be your only chance to get your home nice and sparkling clean before you mess it up with all your furniture. If you are not a fan of cleaning, you can hire someone to deep clean your home for pretty cheap on sites such as Groupon and Living Social. If you are renting, you will need to take pictures to document how everything was when you moved in. This will be helpful for when it comes to getting your security deposit back. Make note of any holes in the walls or scuffs on the floor before you move all of your stuff inside. 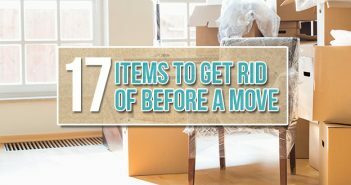 I hope these moving tips will help you with your next move to make it easier and less stressful. Do you have any other helpful moving tips or favorite ideas that have worked for you? Share with us in the comment section below! Thank you so much for sharing this article! I bought a house three month ago and it is time to move out of the apartment and move into my house. 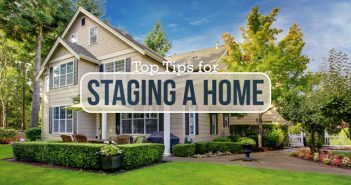 I wasn’t sure how exactly to organize the moving process but in the article above I found amazing tips! Thank you again! I like your tip to rent a dumpster. It can really help to have a dumpster on site, because then it’s easier to decide to get rid of or keep things. It’s crazy the amount of junk that can accumulate in a house. I hadn’t thought about using a suitcase to move books. I think this is a great idea that can save you time and the fear that the box would break. I will make sure to use this as I get ready to move. Great tips, thank you for sharing.